“”It’s a trap!”” From planet to planet Imperial forces are crushing any civilisation that doesn’t bend under their iron grip, and now have the Rebel Army in their sights. The only way the Rebels can prevent their homes from being destroyed is by seizing control of the enemy flags and gaining access to the blast doors, battling ground troops and imposing ‘scout walkers’ along the way. This forest battle holds the key to winning the war, victory here will send the evil Empire into disarray. Yet on such a vast landscape, they will not be giving up these key positions easy… Will good overcome evil in this epic intergalactic battle? 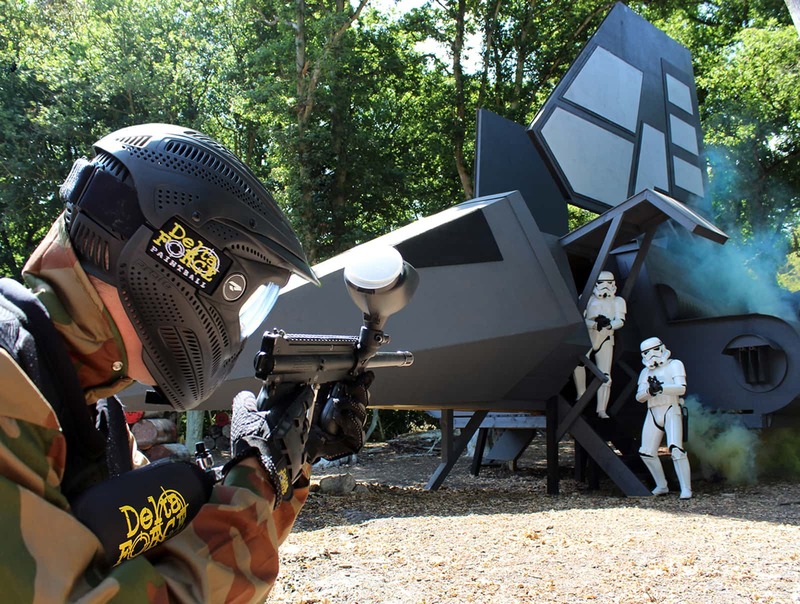 Keep your wits about you as you navigate your way to the Imperial Shuttle situated in the centre of the field. Here you can take cover and keep up a constant wall of fire on the enemy to crush any attempt to disable your defences. Tip: Gaining control of the Imperial Shuttle will be critical to winning this match, granting you total cover and acting as a command post for you and your teammates to regroup at. From here, pushing into enemy territory becomes far easier. On such a vast field any high vantage points could prove decisive in holding captured territories back from the enemy, while the outer edges of the field offer the perfect cover for advancing attacks. Remember to stock up on ammo so you can wear down the enemy. Please note: there are no storm troopers present in the game zone, unless you choose to bring your own outfit!